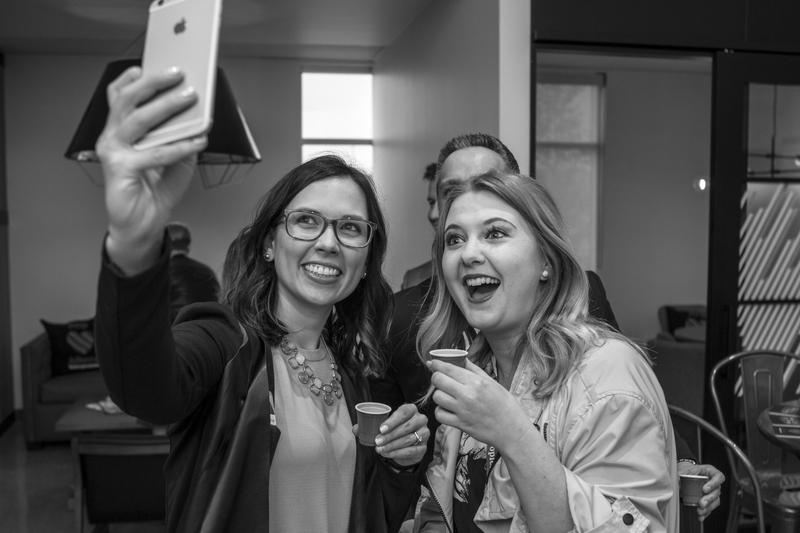 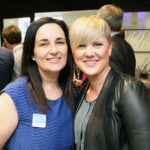 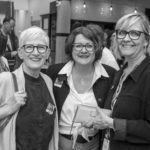 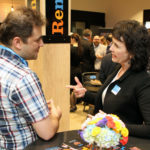 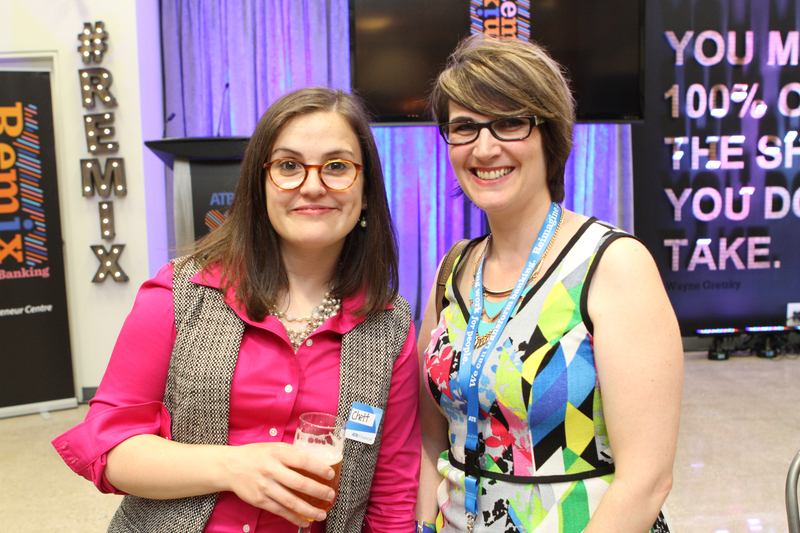 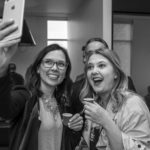 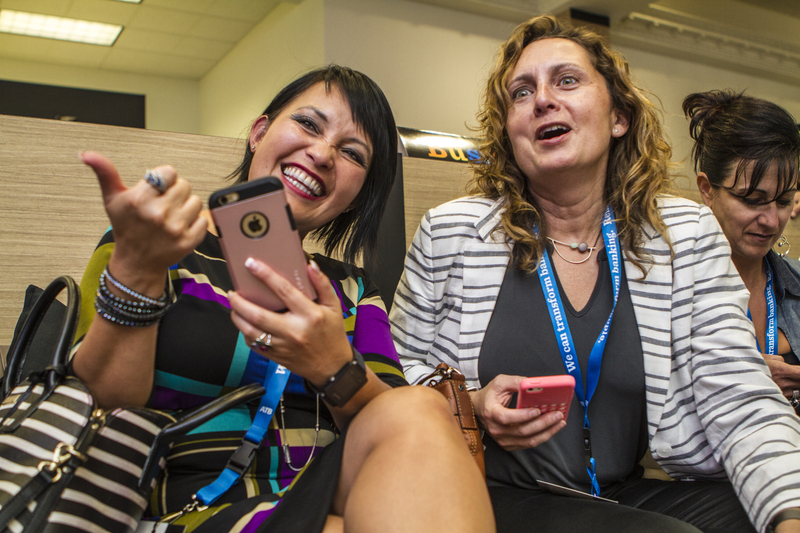 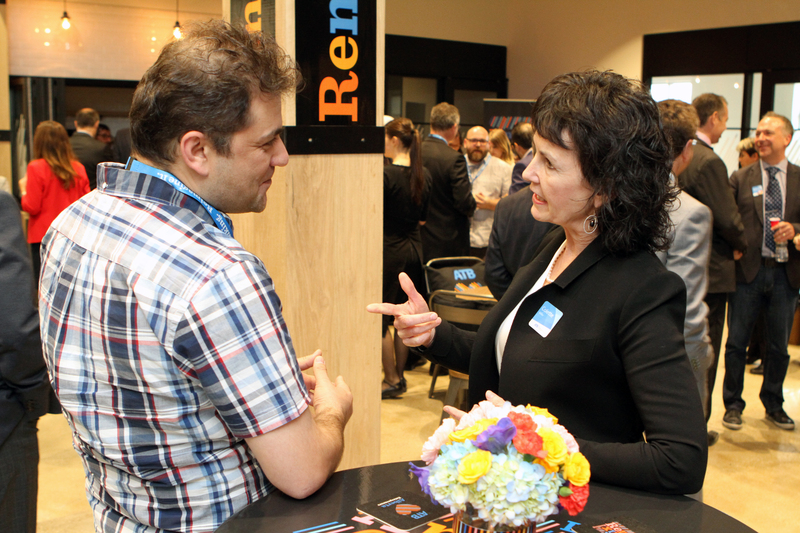 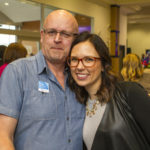 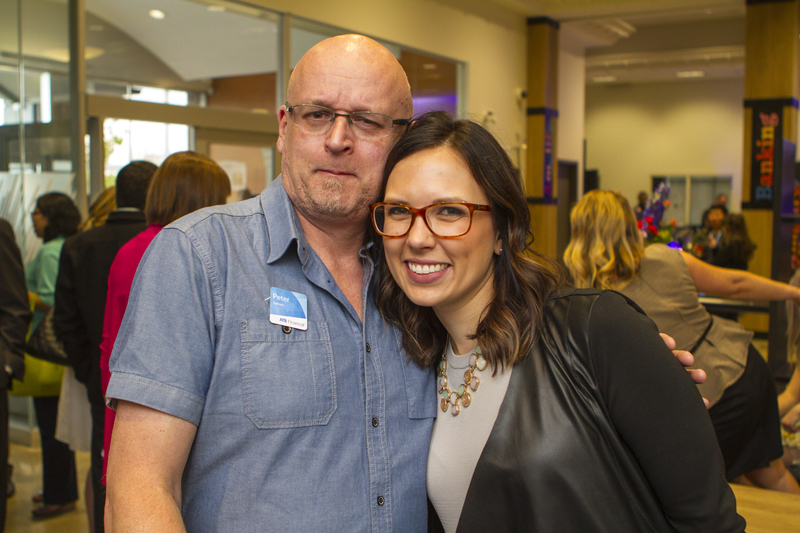 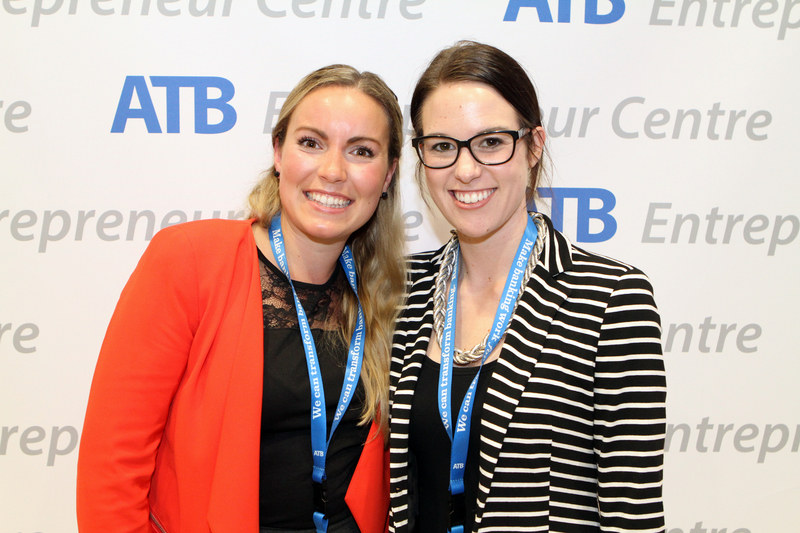 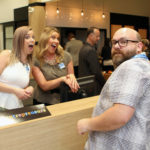 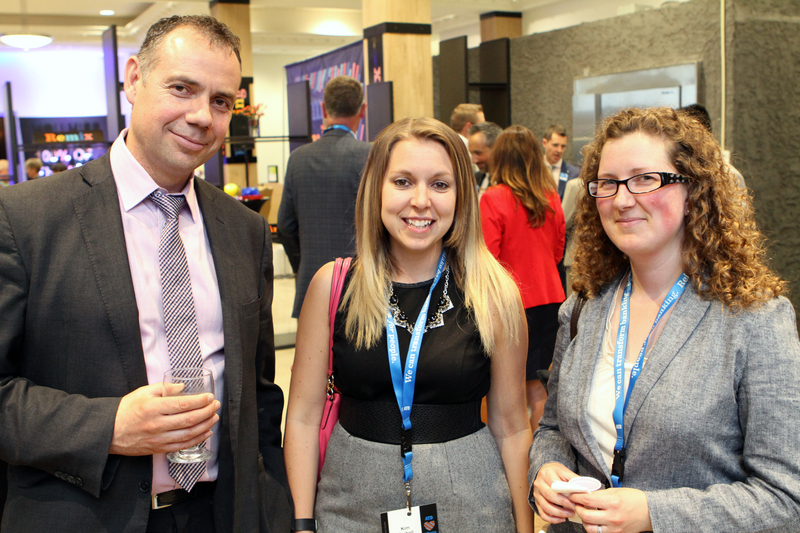 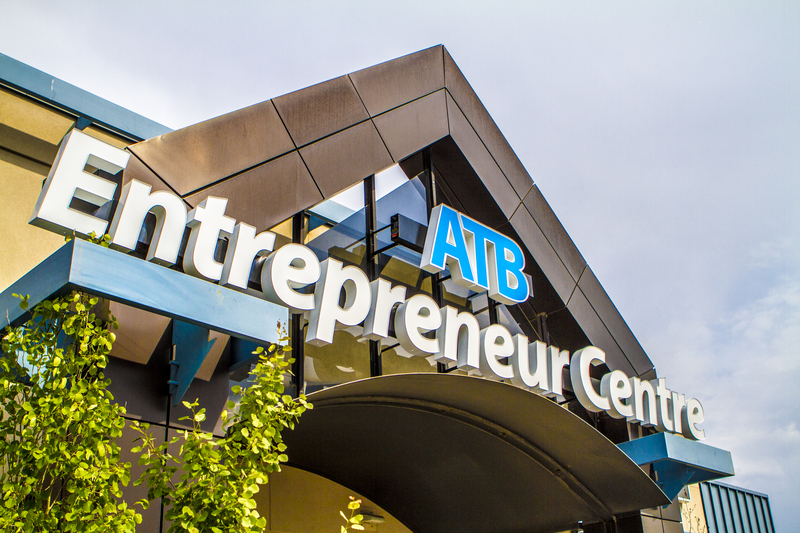 In May of 2016 we were approached by ATB Entrepreneur Centre Community Manager, Nicole Medeiros, to help with the launch on Edmonton’s Centre. 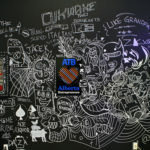 ATB had unveiled the launch of their Calgary Centre the week prior. 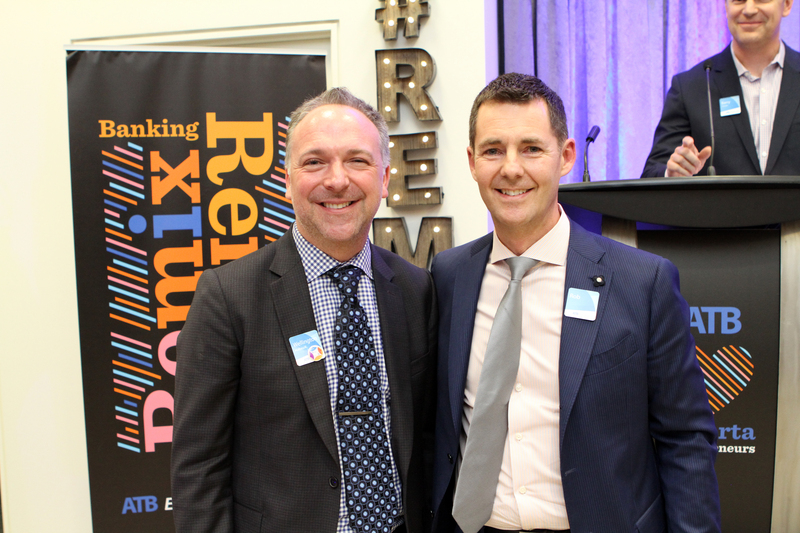 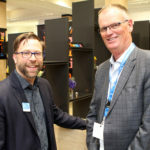 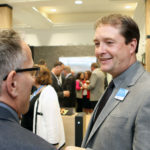 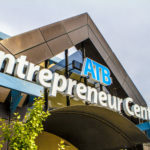 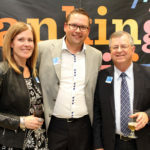 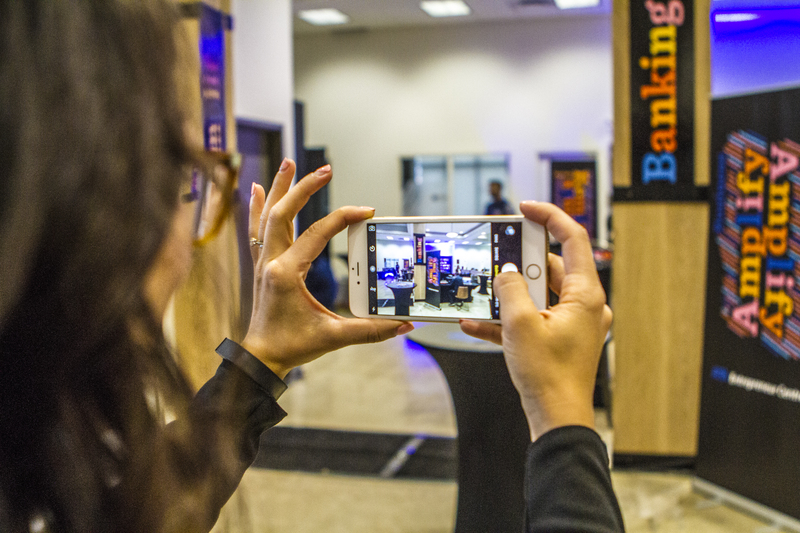 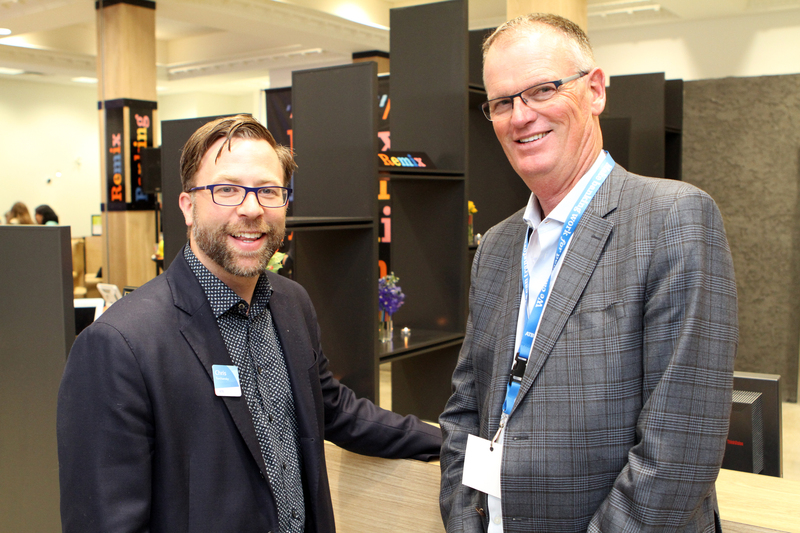 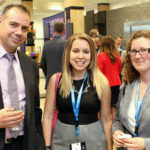 The ATB financial Entrepreneur Centre Edmonton, located at 4234 Calgary Trail, seeks a reinvention to the way banking is done. 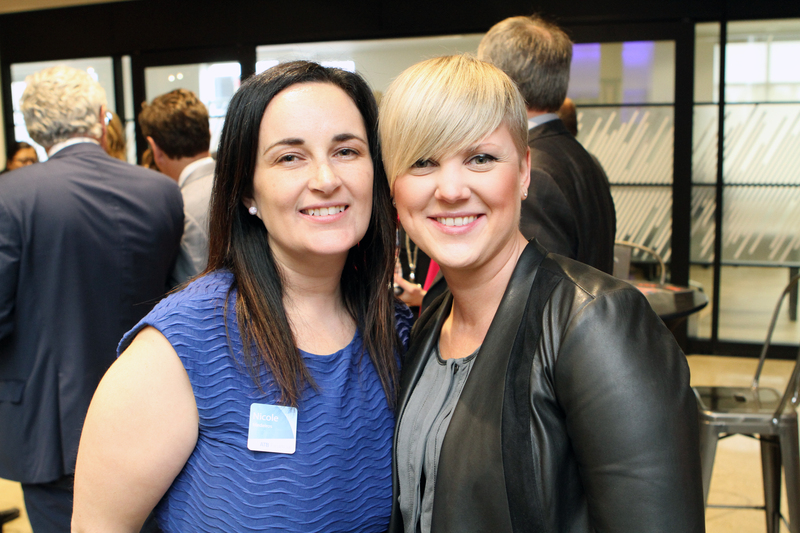 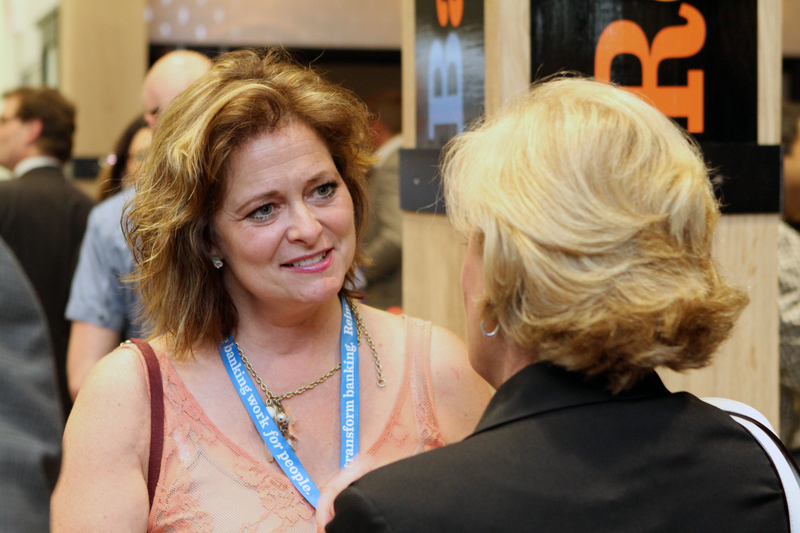 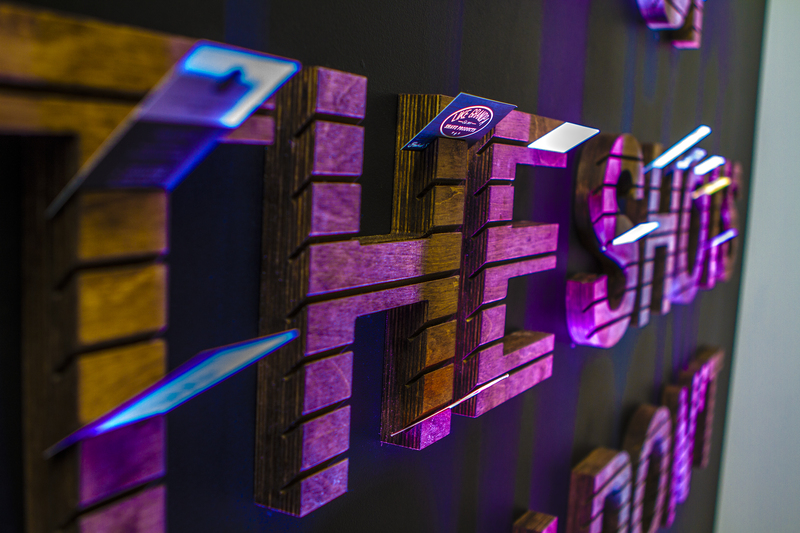 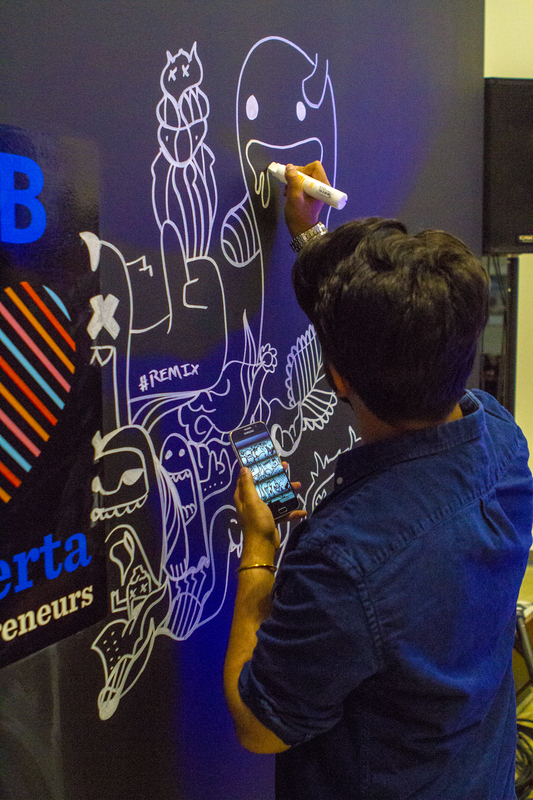 The space is to be a ‘learning hub’ made for entrepreneurs, by entrepreneurs. 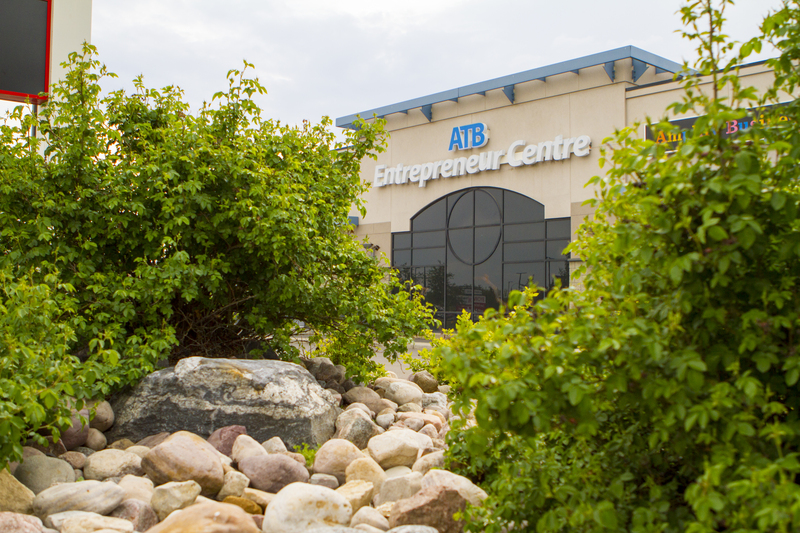 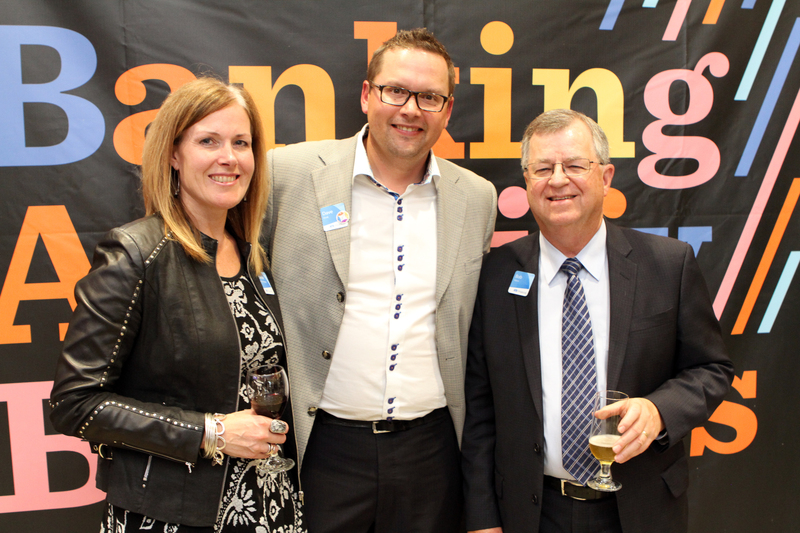 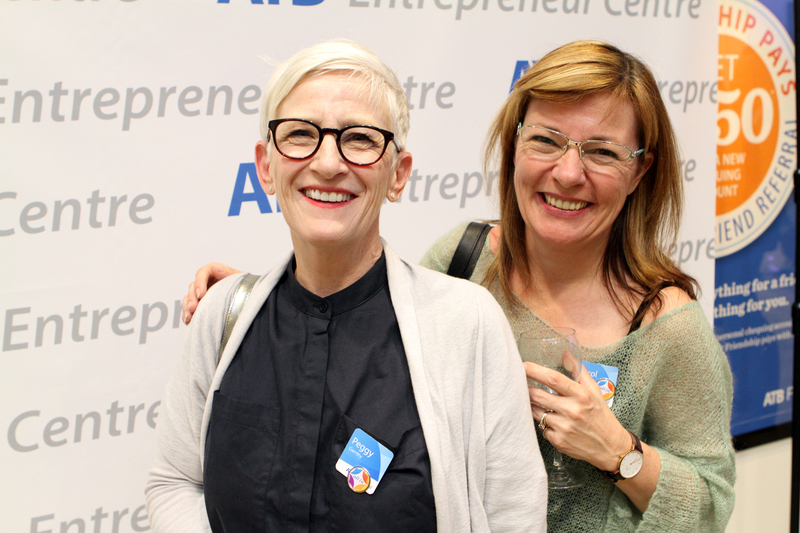 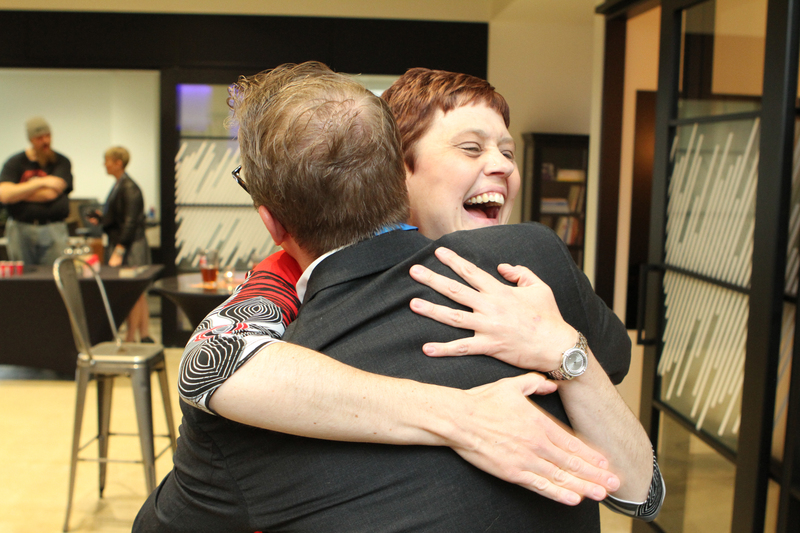 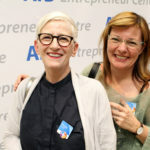 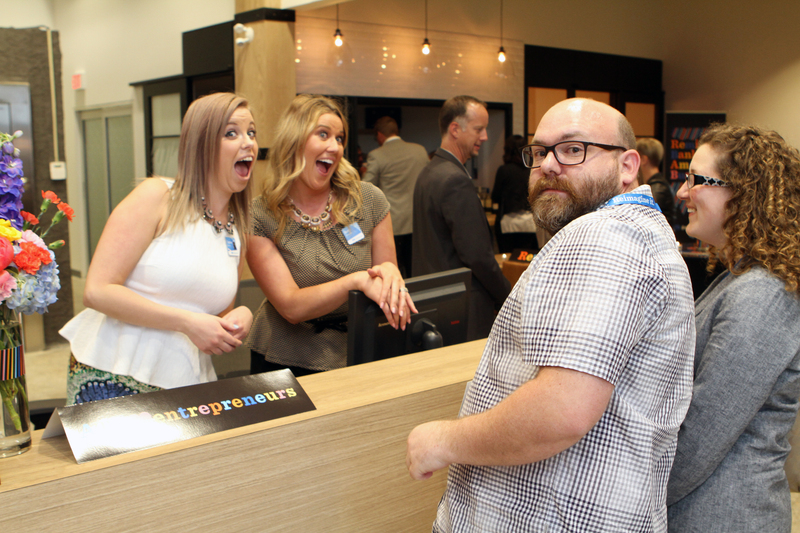 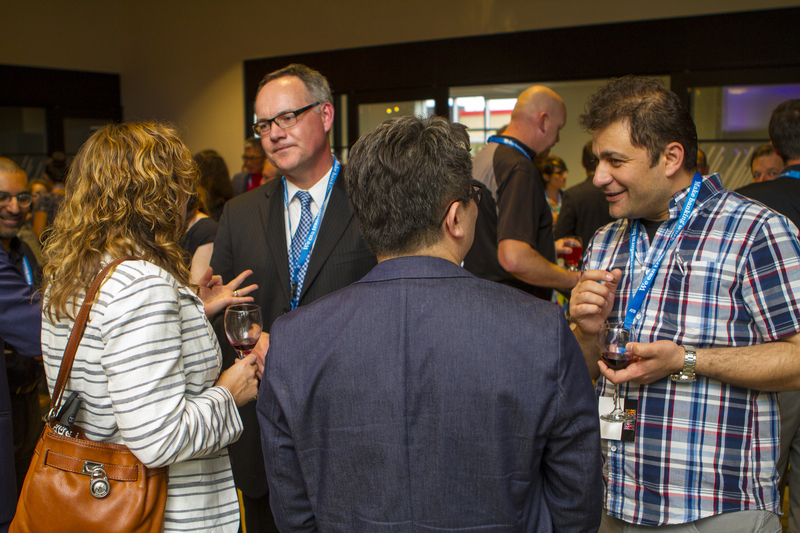 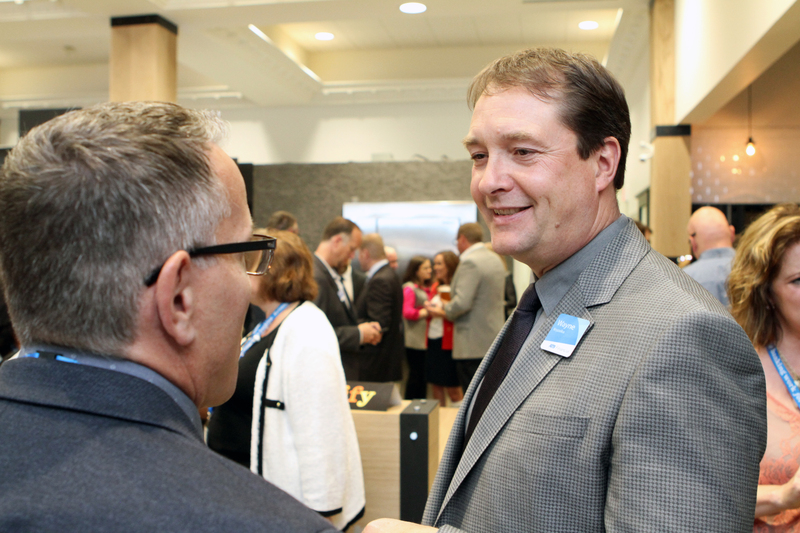 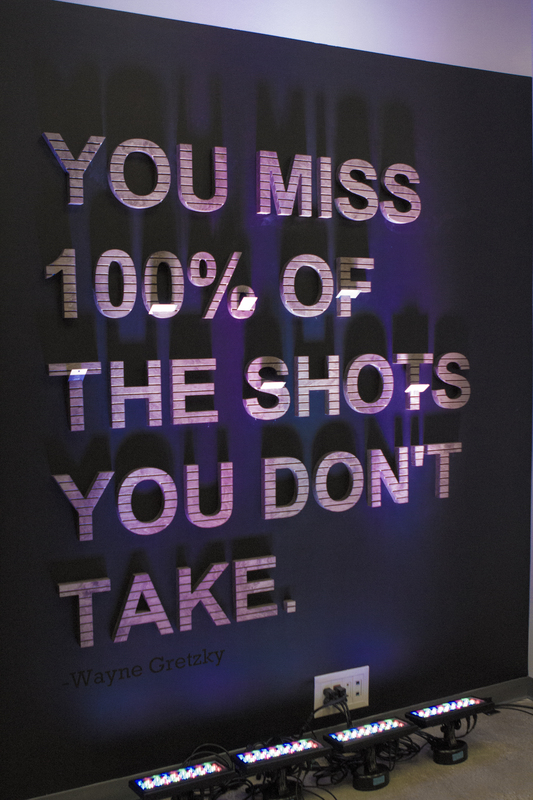 People + Experience + Space = ATB Entrepreneur Centre. 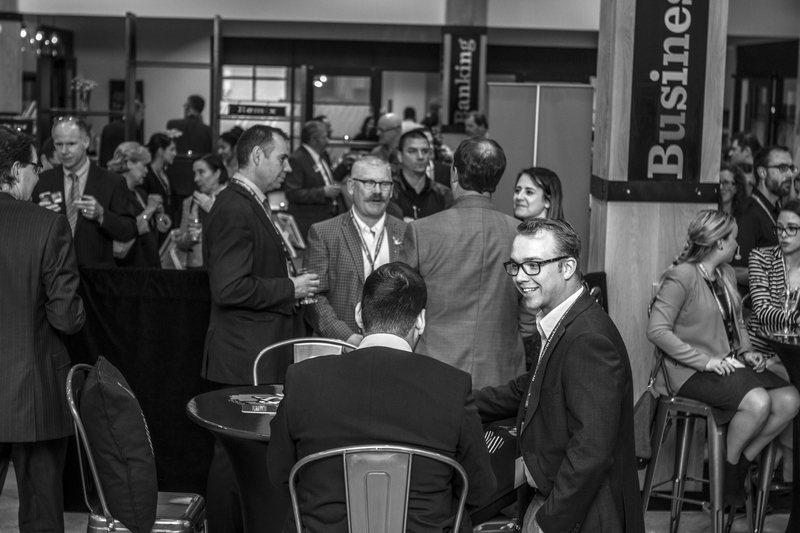 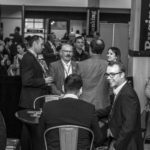 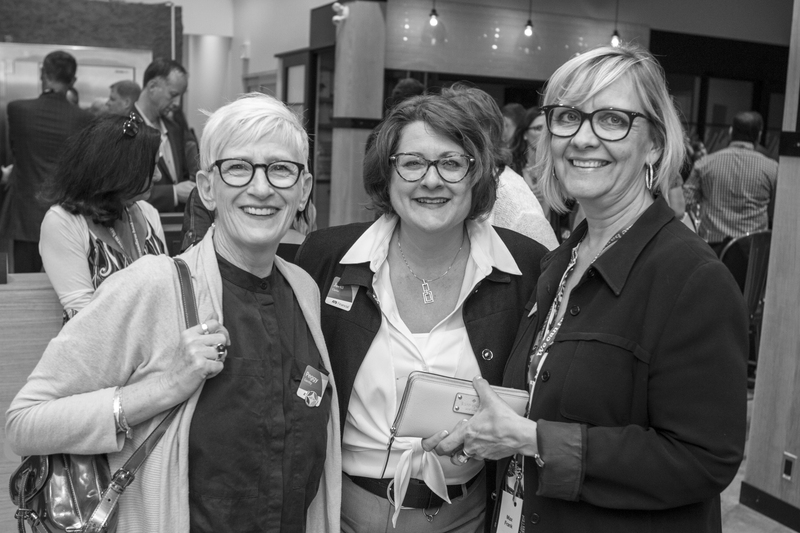 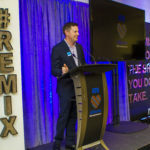 With just two and a half weeks to execute this event, it was important to coordinate all event details that could be executed within the short time frame but also compliment the various activations used at the Calgary launch event to ensure consistency in branding. 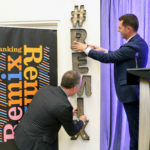 With the Centre still under construction and various trades onsite racing the clock to try and get the facility ready on time, we all had to work together to make this happen. 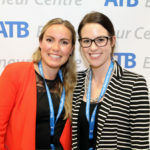 A HUGE thank you to Nicole for her help, patience, and support! 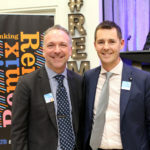 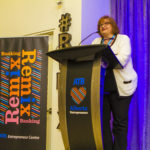 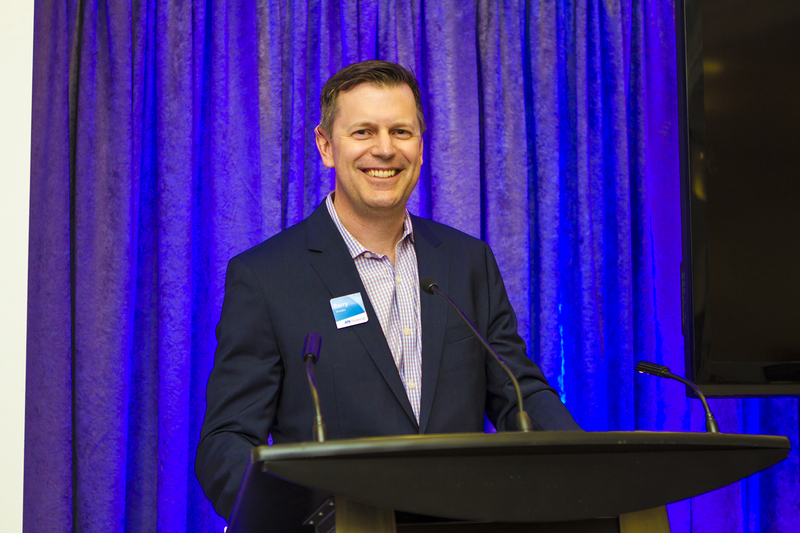 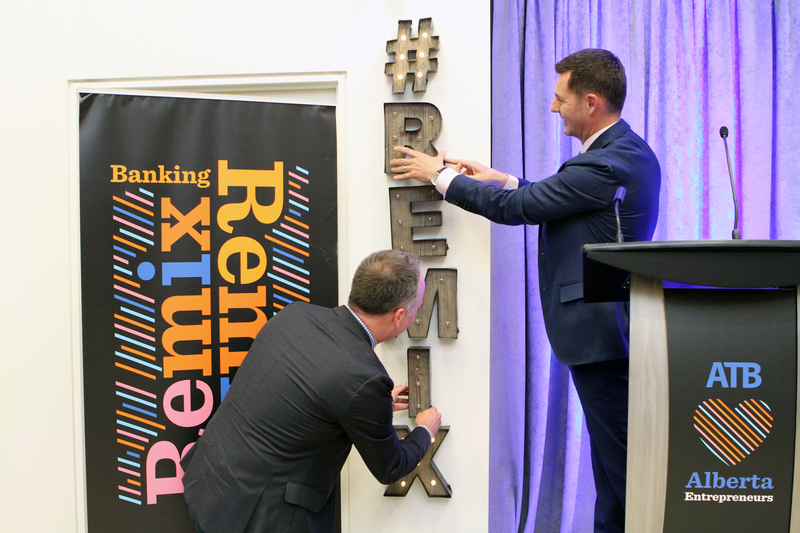 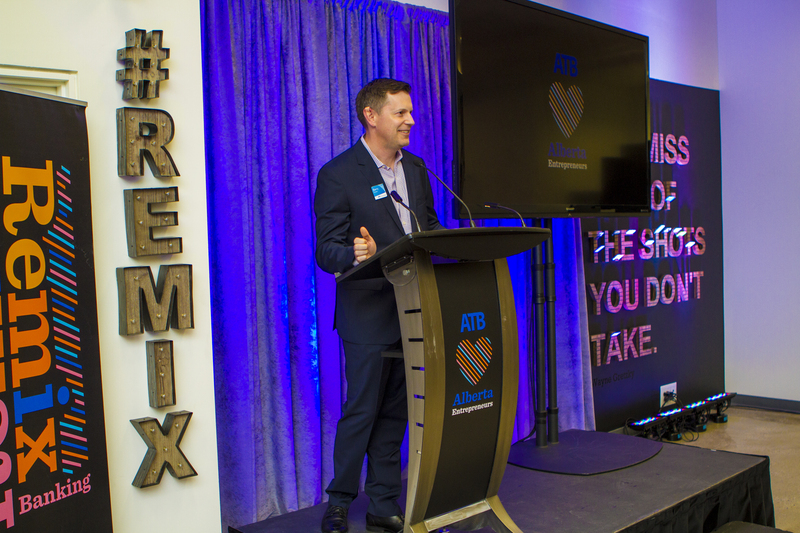 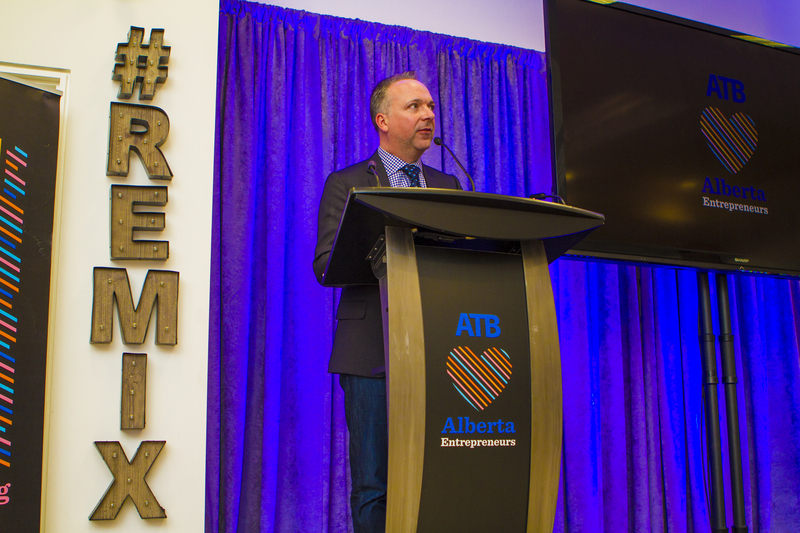 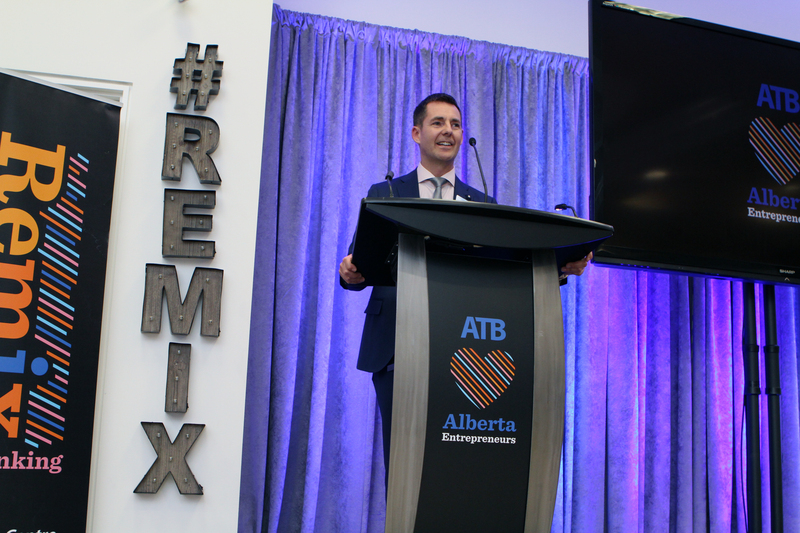 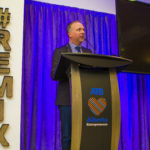 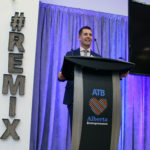 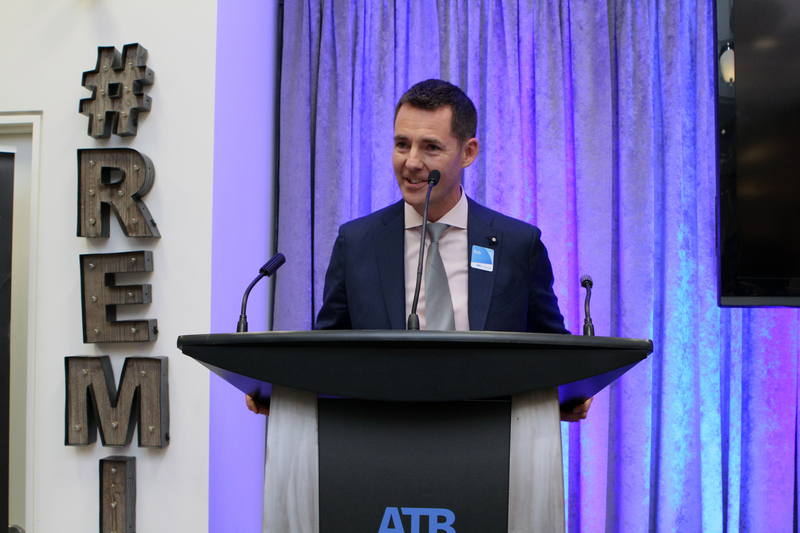 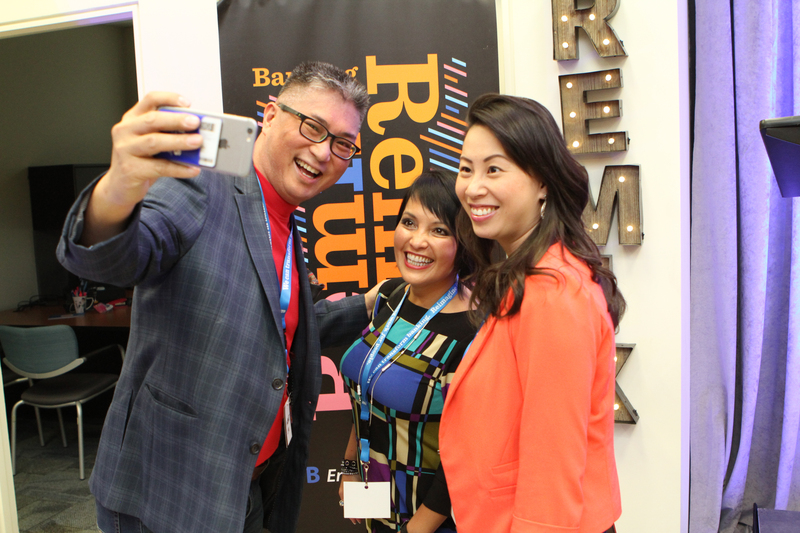 You will note the three key messages throughout the new branding strategy: “Remix Banking”, “Amplify Business”, and “ATB ♥ Alberta Entrepreneurs”. 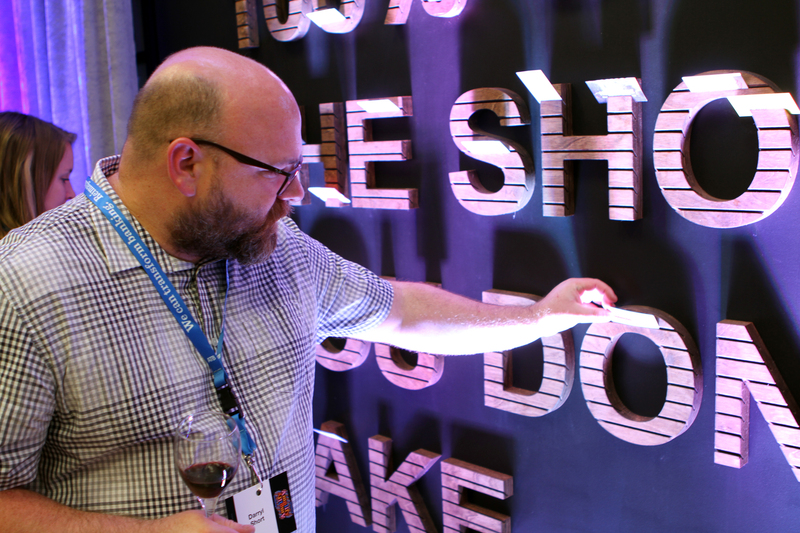 Also of importance was for us to take into account the durability and sustainability of particular graphic applications so that the Centre could the applications up for a long period of time. 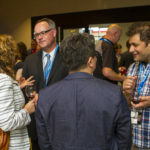 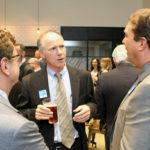 The event, a reception format with a short formal program, took place from 5:00 pm to 7:30 pm for approximately 100 guests. 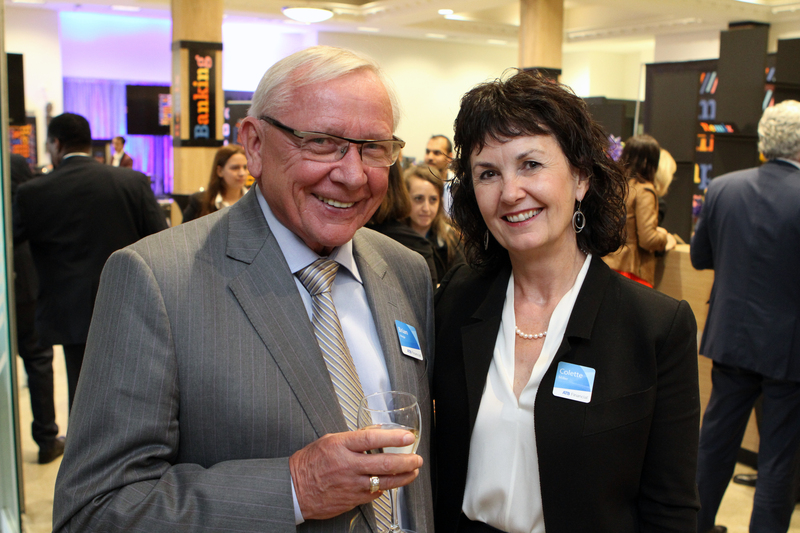 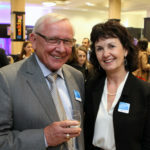 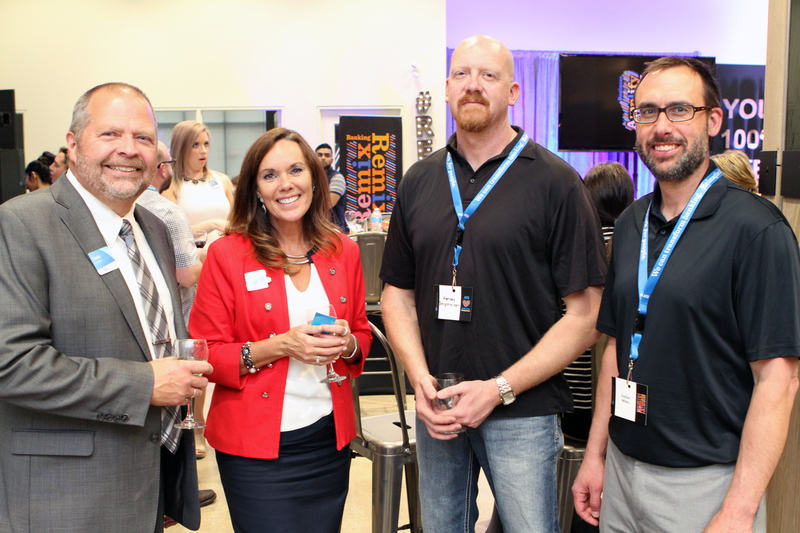 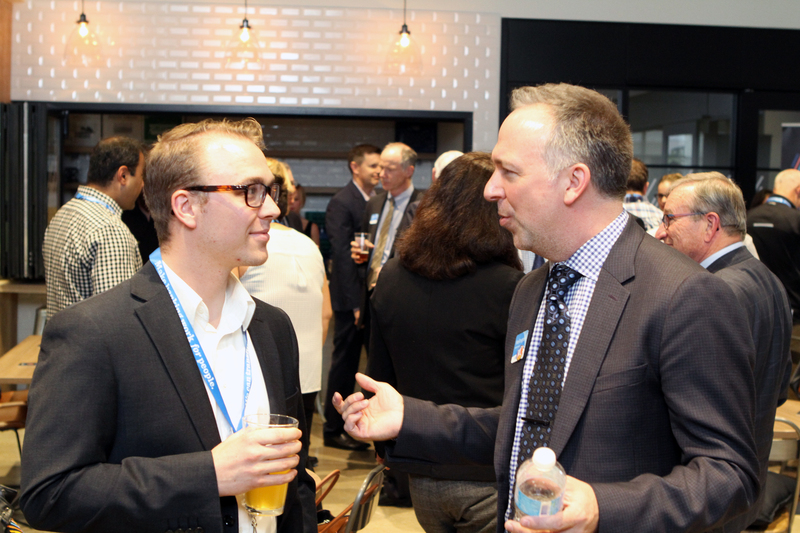 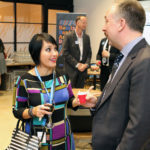 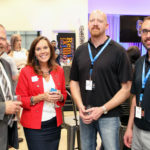 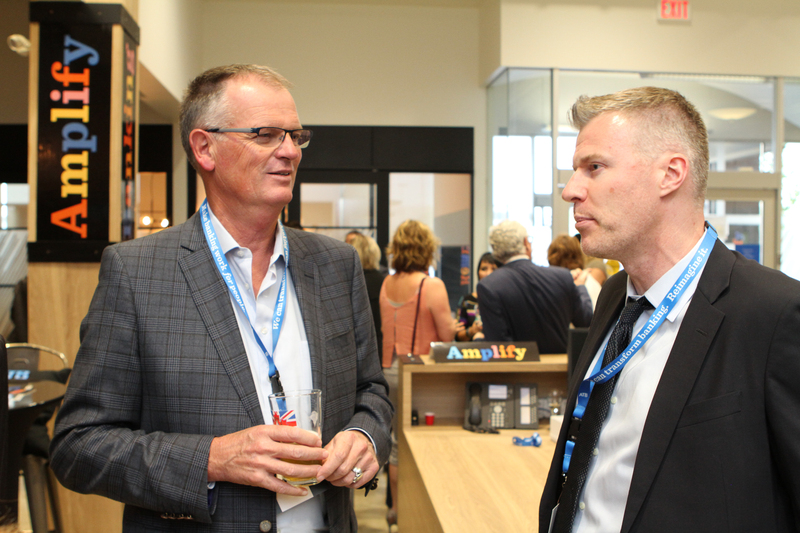 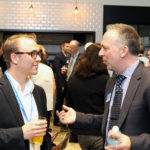 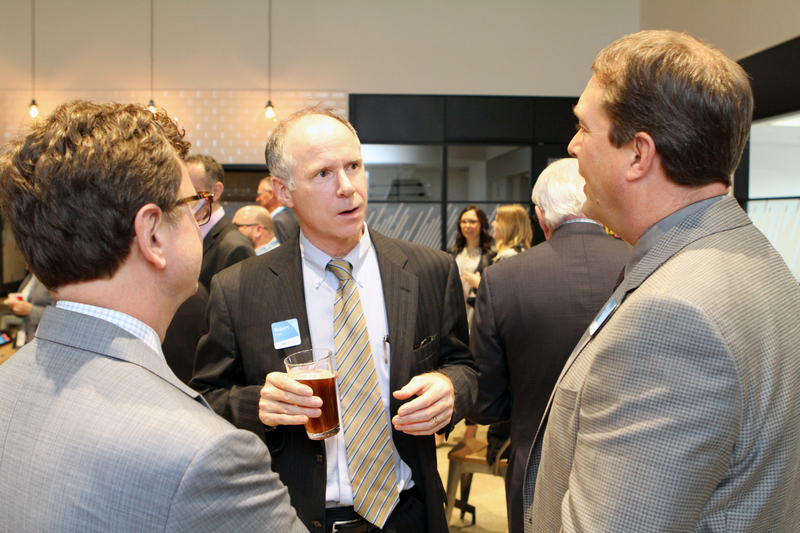 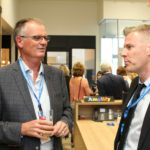 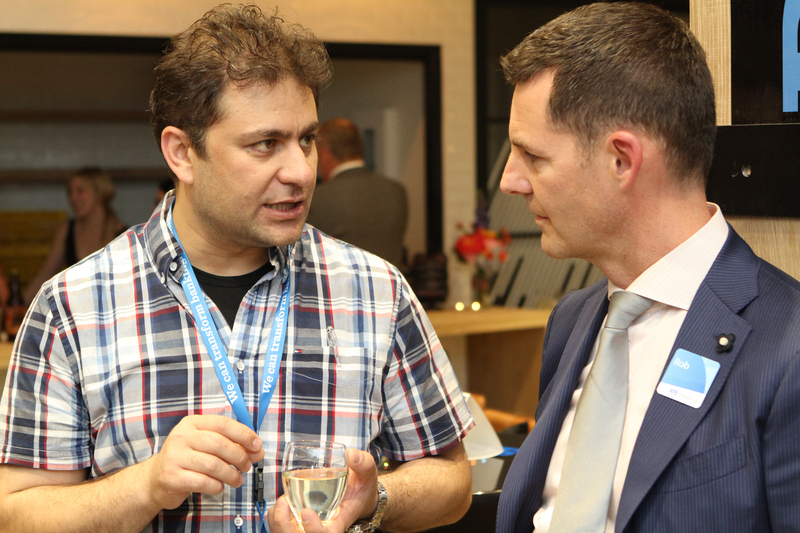 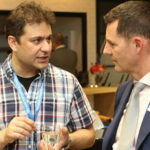 The event was held at the Entrepreneur Centre so that guests could take in the new facility and interact with the Centre’s staff. 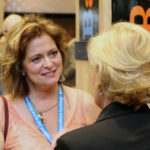 During the day there was a media event, followed by training for the Executive Team. 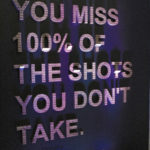 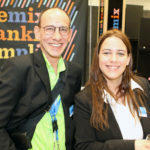 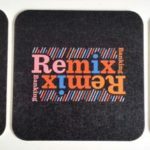 – Customized coasters that were placed out on cocktail tables with the three key messages on them. 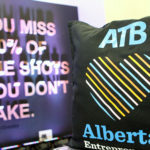 – Customized pillows placed out in soft seating areas, which could also remain out for a prolonged period of time or be used as giveaways by the Centre. 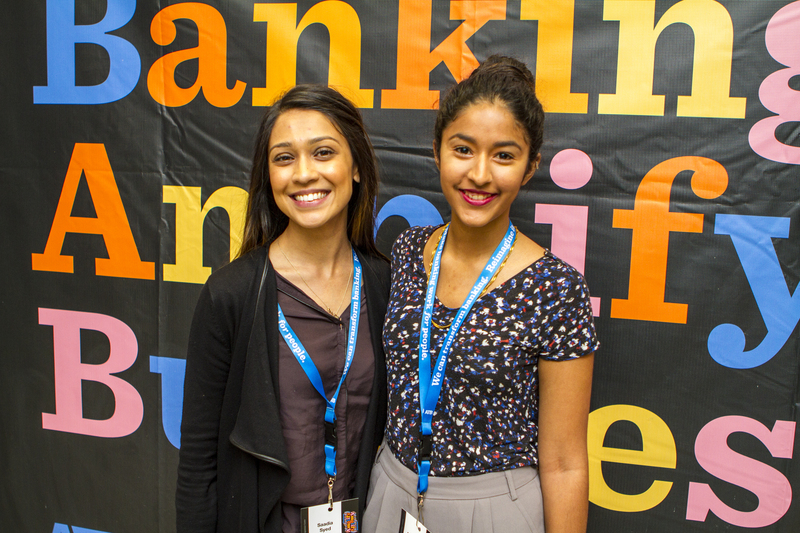 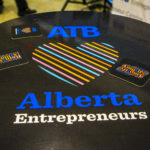 – Entrepreneurs who bank with and are supported by ATB as key vendors used at the event: FMAV, Rahmaan Hameed (graffiti artist), Red Cup Distilling (moonshine tasting), Stir Catering (catering and bar support), The Italian Centre (dessert), Two Sergeant’s Brewing Company (beer), and Urban Metropolis (DJ). 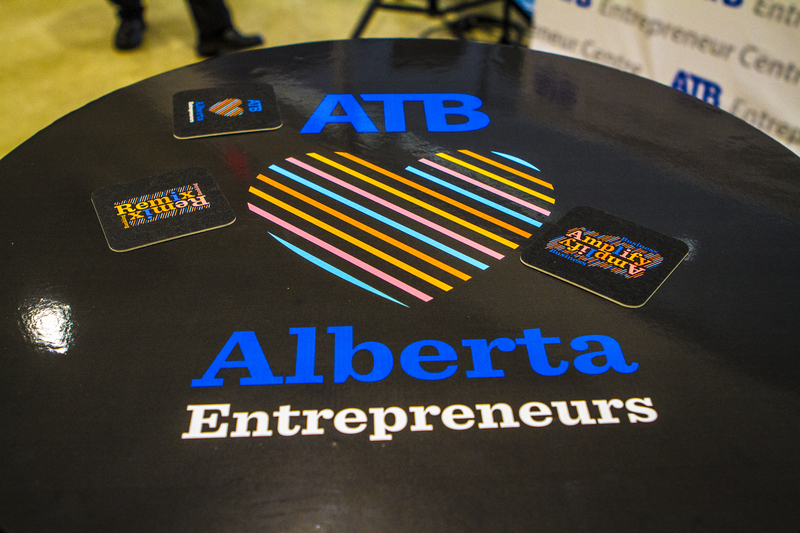 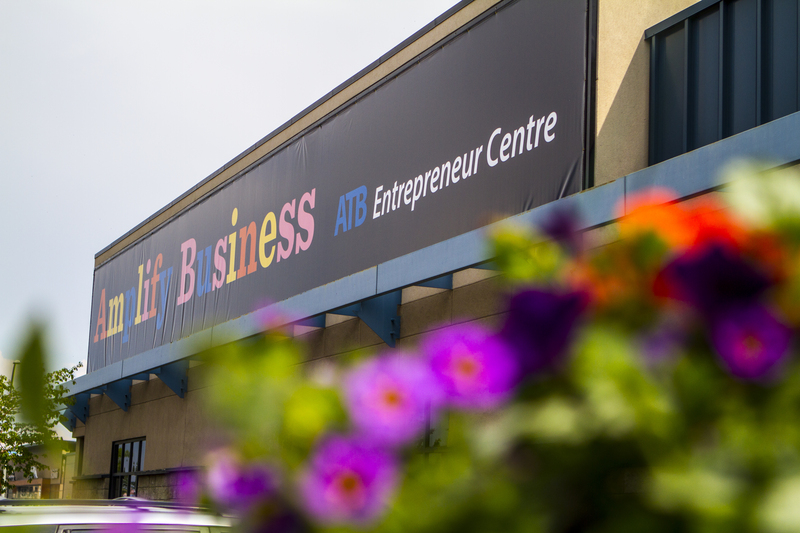 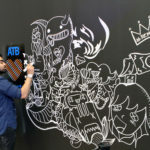 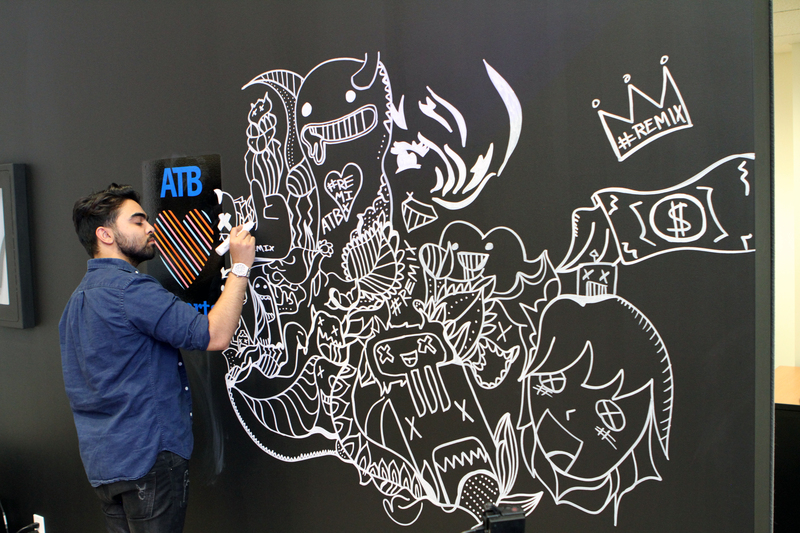 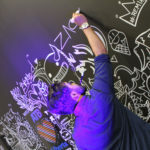 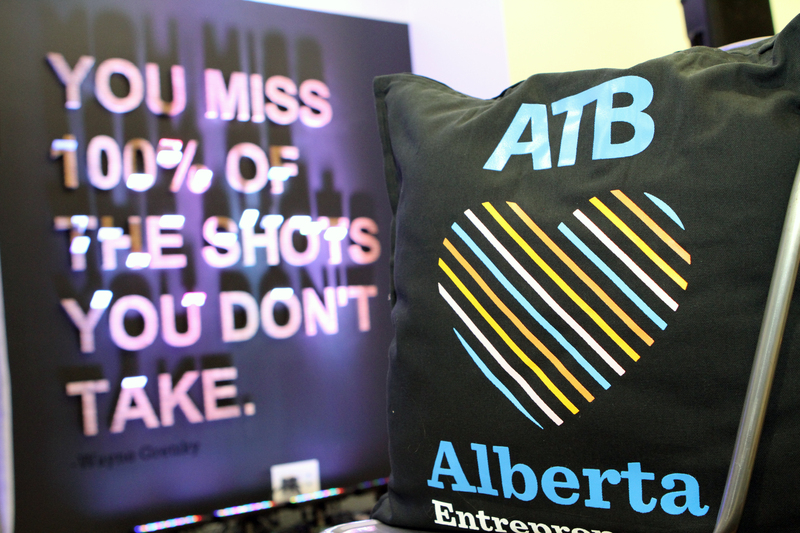 – A live graffiti mural was built out from the “ATB ♥ Alberta Entrepreneurs” logo. 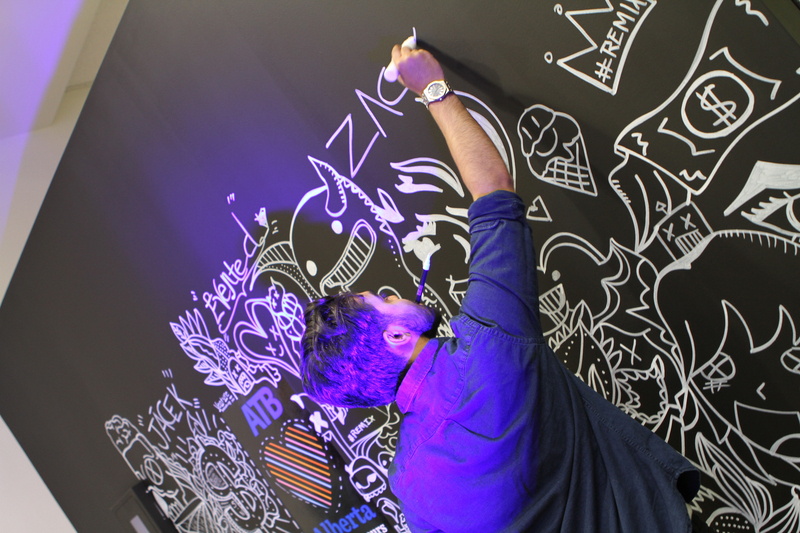 Guests were encouraged to interact with graffiti artist, Rahmaan Hameed, to share their entrepreneur stories and what it meant to them. 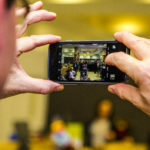 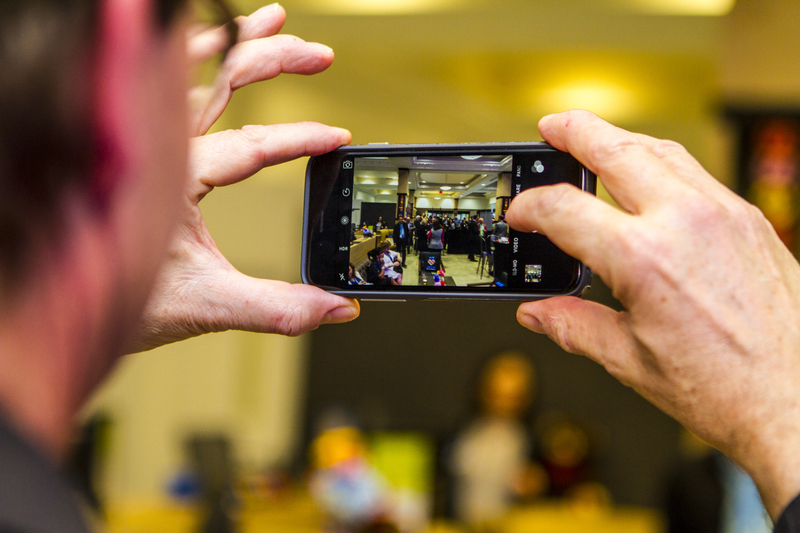 The installation was captured with a Go Pro so that a time lapsed video could be shared post-event. 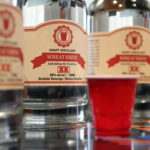 – Red Cup Distilling was onsite to do a moonshine tasting with guests. 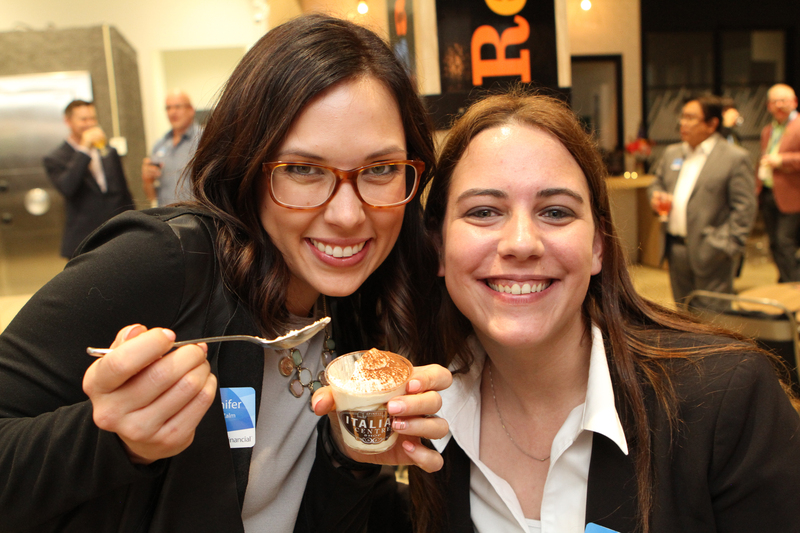 One of the dishes provided by Stir Catering also used the moonshine as an ingredient in the dish. 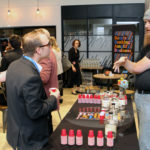 – Stir Catering provided passed bites to guests. 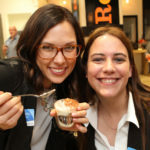 – The Italian Centre provided their delicious tiramisu for dessert. 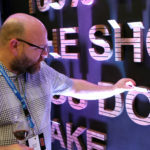 – Tabletop decals were applied to the cocktail tables that featured the three key messages of the Centre. 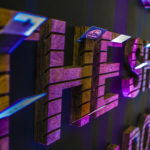 – A long runner was applied to the entrance way leading up to the Centre to create an impactful impression upon guests’ arrival, which would remain in place once the Centre opened to the public. 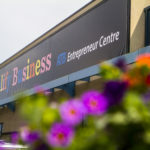 – On the exterior of the building, pillar wraps, planter decals and window decals were installed. 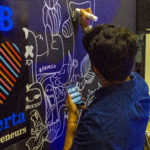 The interior of the building featured floor decals, pillar wraps, vault wrap, and registration desk decal. 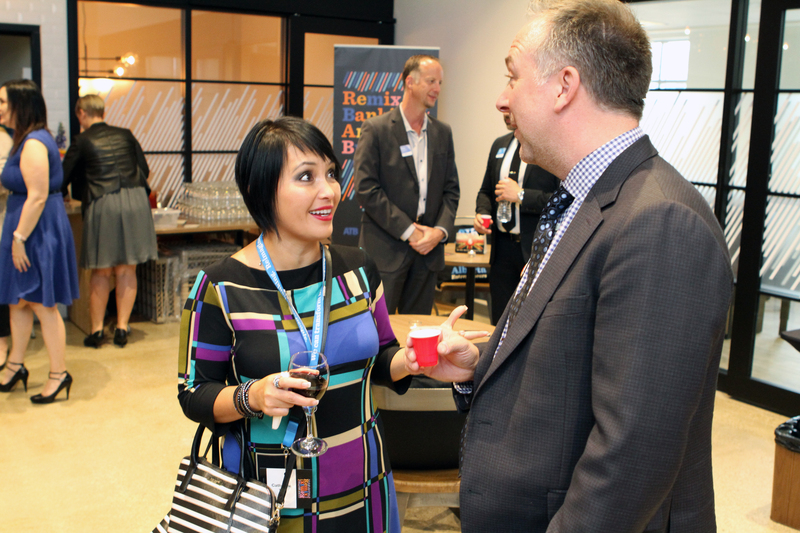 – Music from Urban Metropolis provided guests with an electric, party vibe that complimented the bright, 90’s style of the new branding. 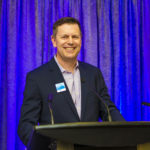 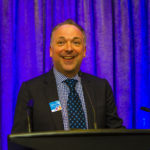 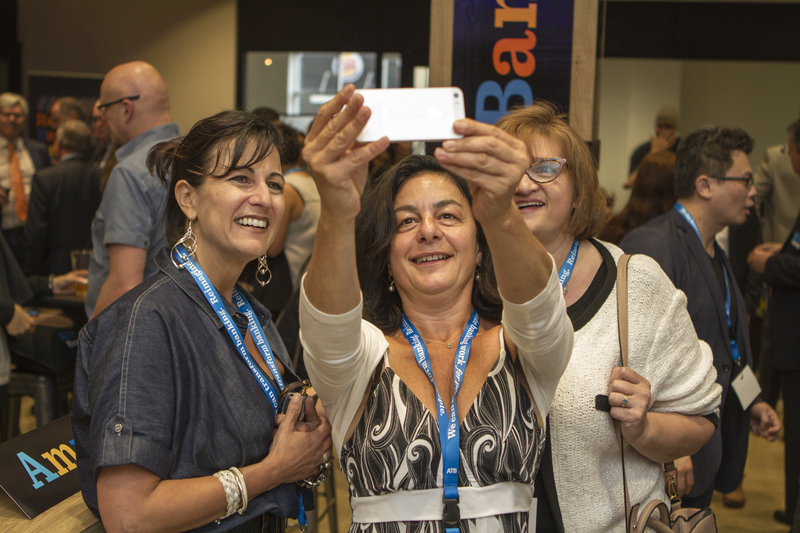 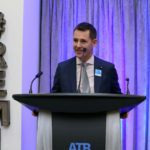 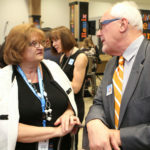 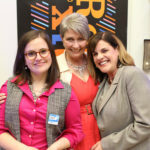 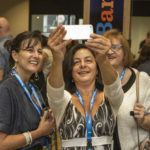 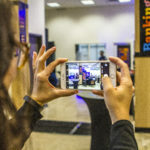 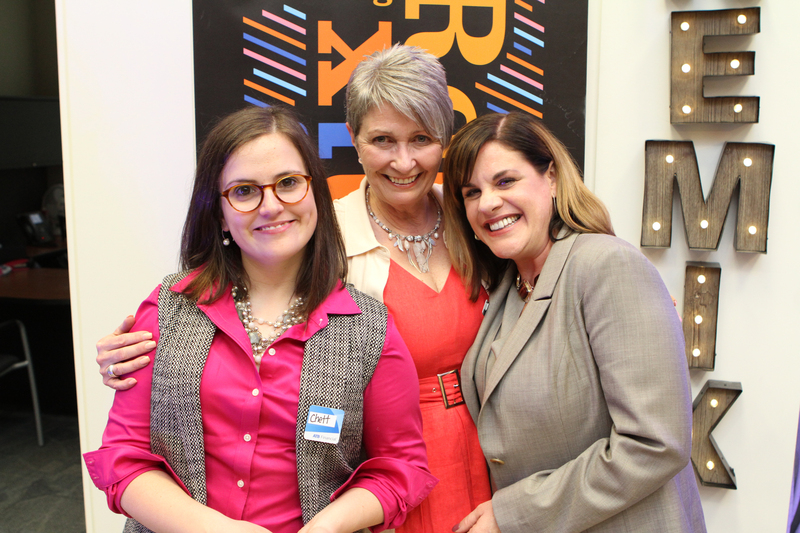 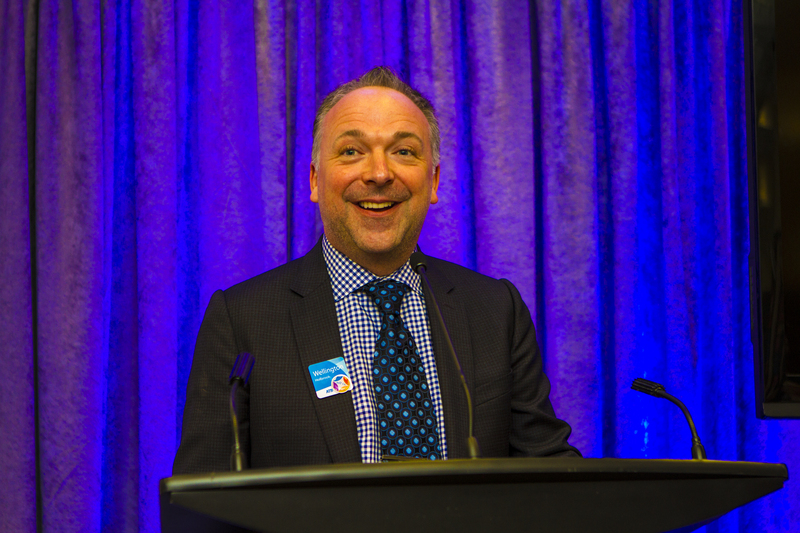 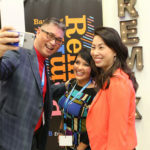 – Various step and repeats were set up in the space, with props, so that guests could take photos and an ATB team mingled with guests to gather their testimonials, which would be compiled in a post-event video. 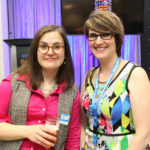 Brewery: Two Sergeants Brewing Inc.